Today is probably the highlight of the trip for most of us. 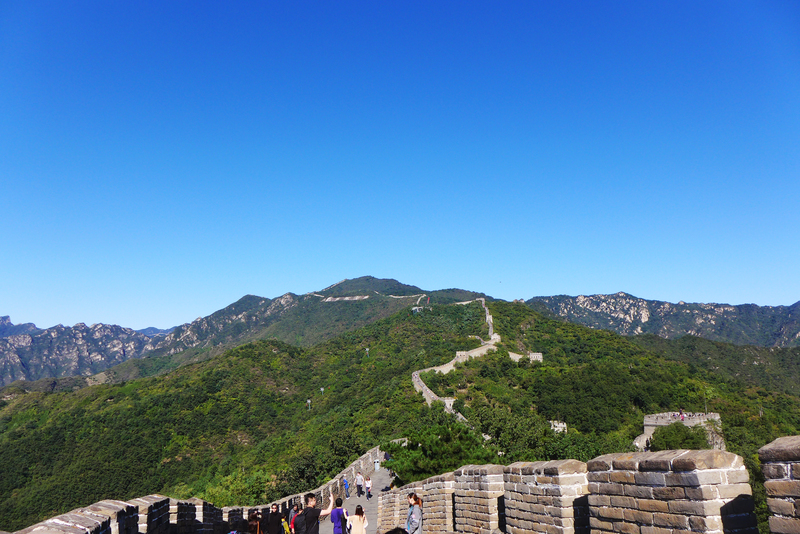 We woke up early in the morning to head to the Great Wall of China. I’ve been here almost a decade ago during a different season so it was a delight to revisit this site. 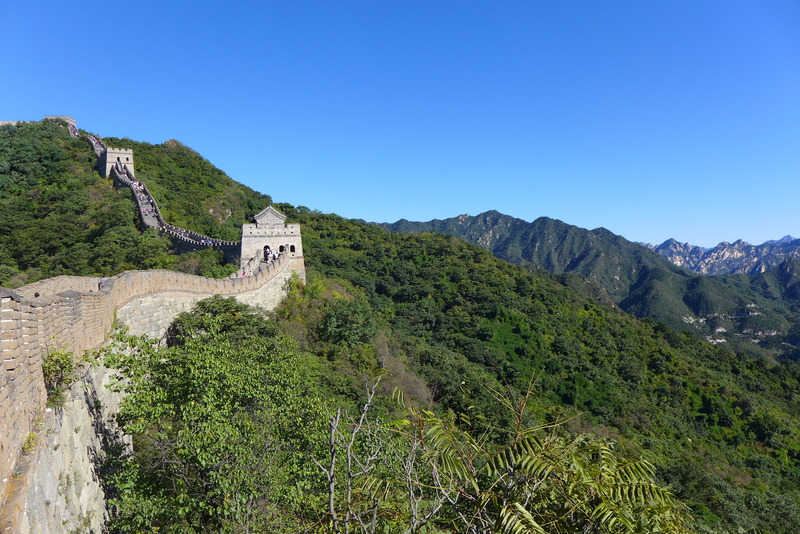 The Great Wall is both a UNESCO and New 7 Wonders of the World site. There are several parts of the wall to choose from when visiting. 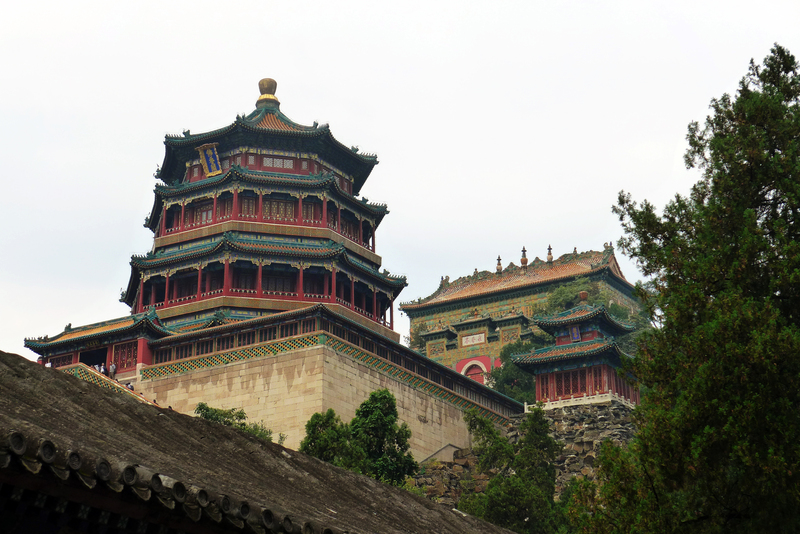 For this trip, we entered the Mutianyu section. We decided to walk up to reach the Great Wall. You can also ride the cable car if you want. It’s just a delight to see how vast the wall is. 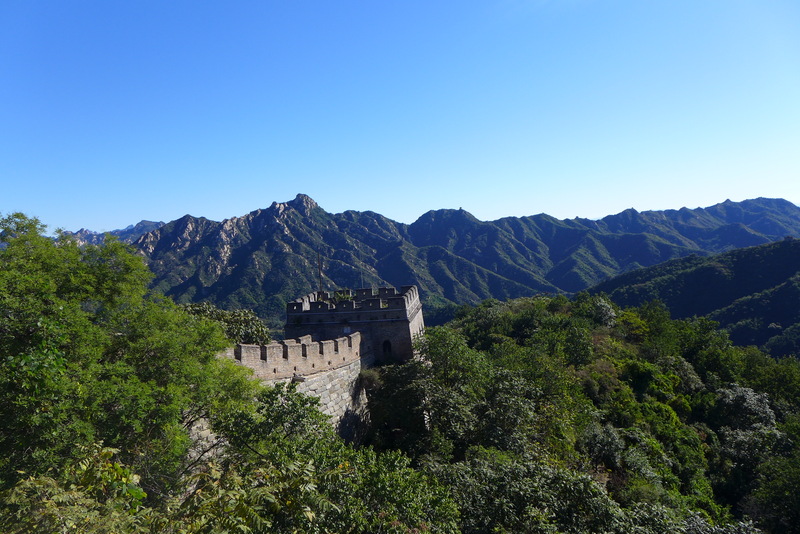 I would also like to visit the Great Wall during autumn or winter. For the autumn season, we were probably ahead by several weeks before the leaves turned red and gold. The walk inside the great wall is often convenient. Though there are certain areas that are quite steep and slanted. 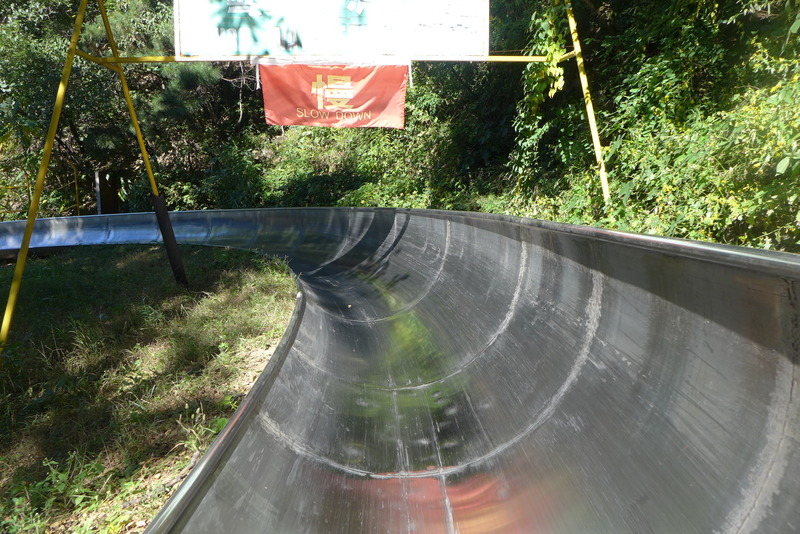 We decided to go down by taking the toboggan ride. If you have the budget to spare, I recommend everyone to try it out! 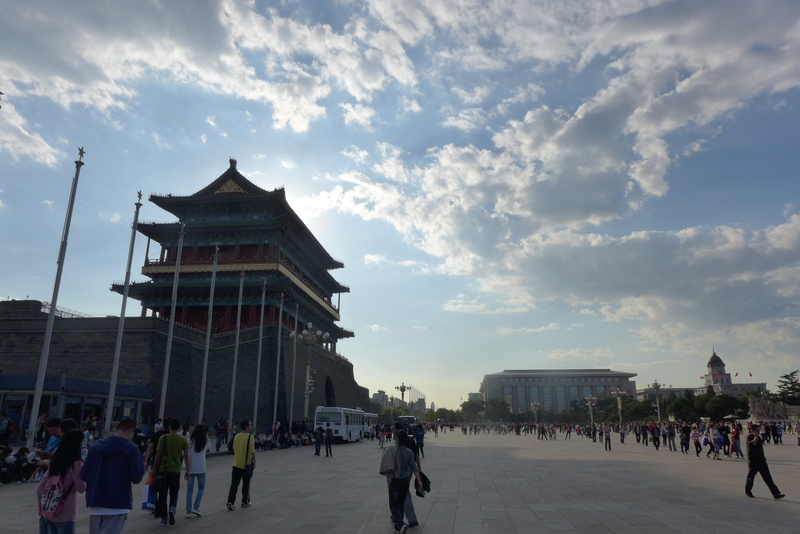 After our trip to the Great Wall, we decided to return to our hotel. In one of the nearby malls, guess who we saw? 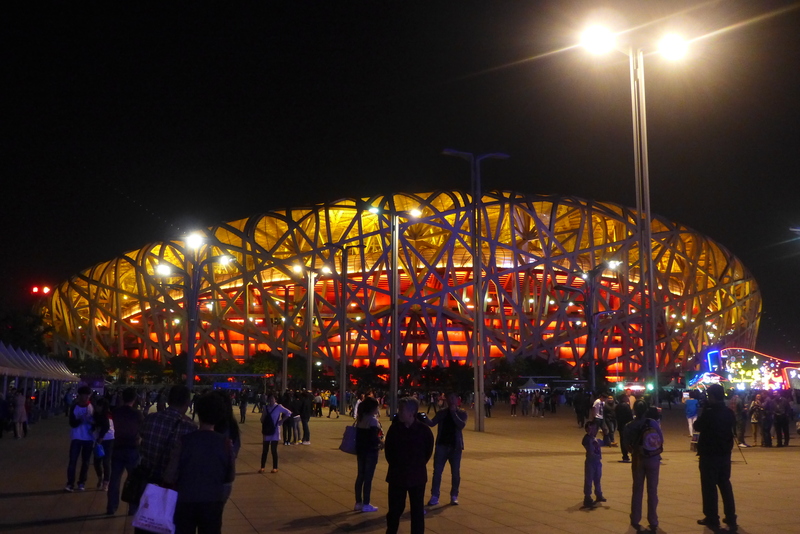 At night, our group decided to visit the Beijing Olympic Park. The stadiums within the park was used during the 2008 Olympics. 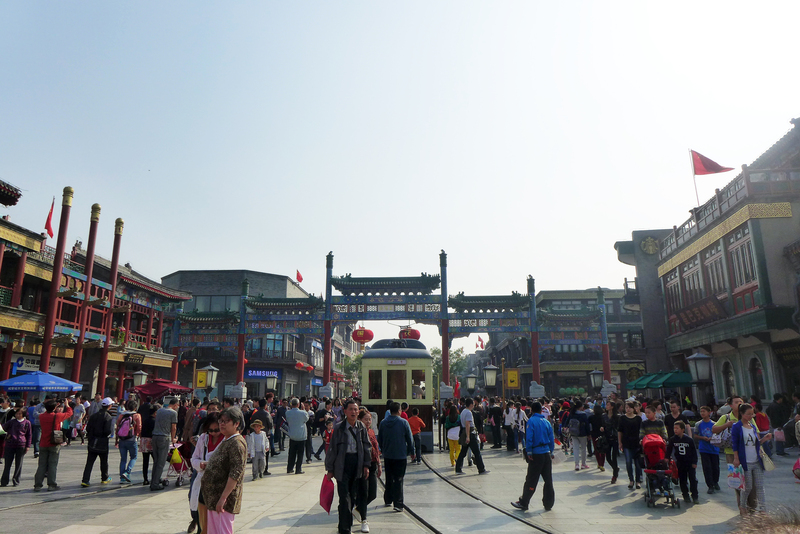 Some of the popular structures include the Bird’s Nest and the Water Cube. We also enjoyed looking through the names of the past winners which include familiar names like Michael Phelps and Usain Bolt to name a few. 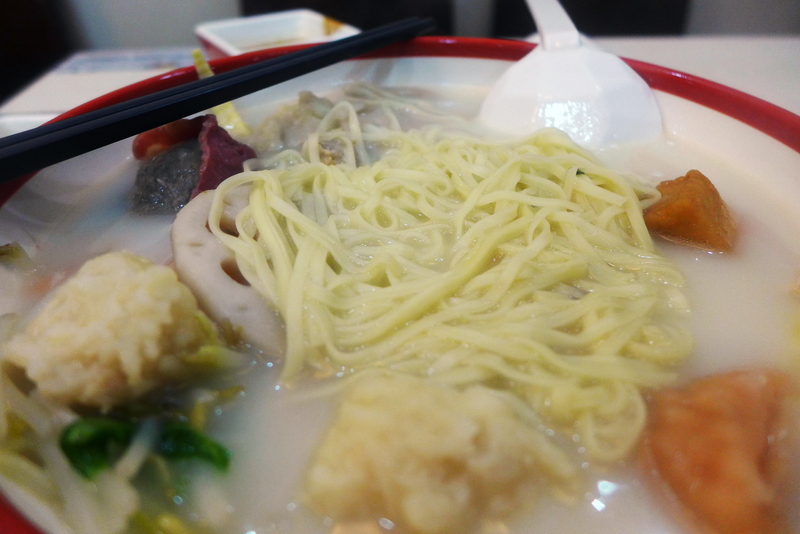 For dinner, our friends brought us to this noodle place where you pick all of the ingredients you want in your bowl. The dipping sauce mainly composed of a peanut paste is a must! 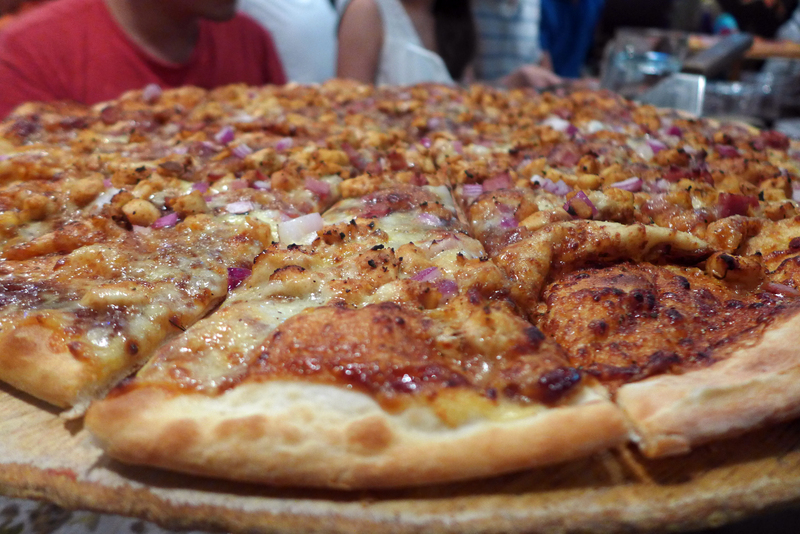 This is probably the most comforting meal I’ve eaten during our trip. 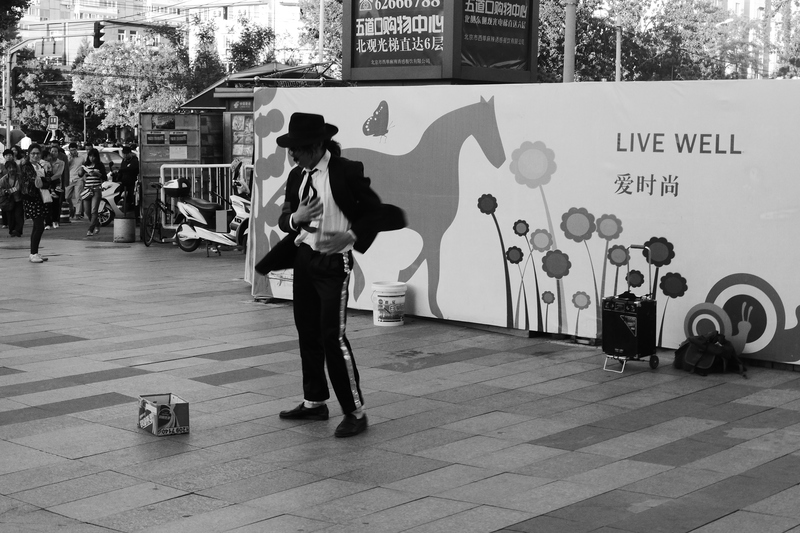 Tomorrow marks our last day in China… So far so good! 很好! 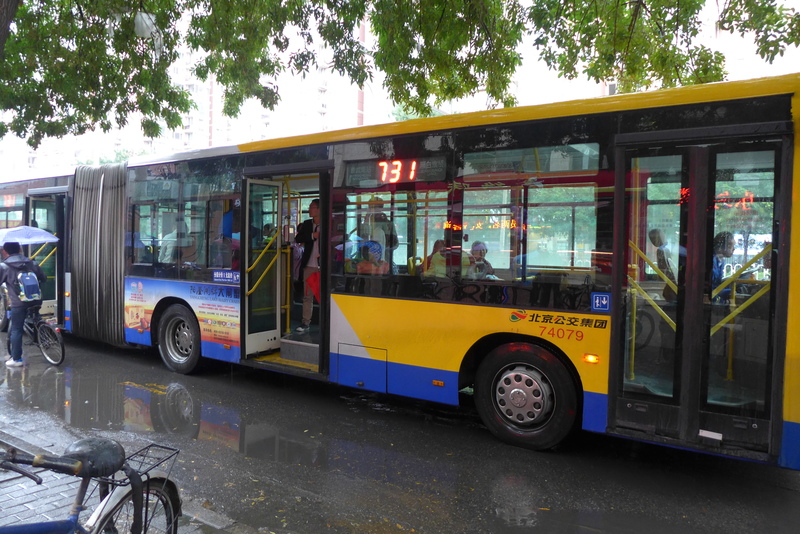 Our first day in Beijing started as a gloomy one. 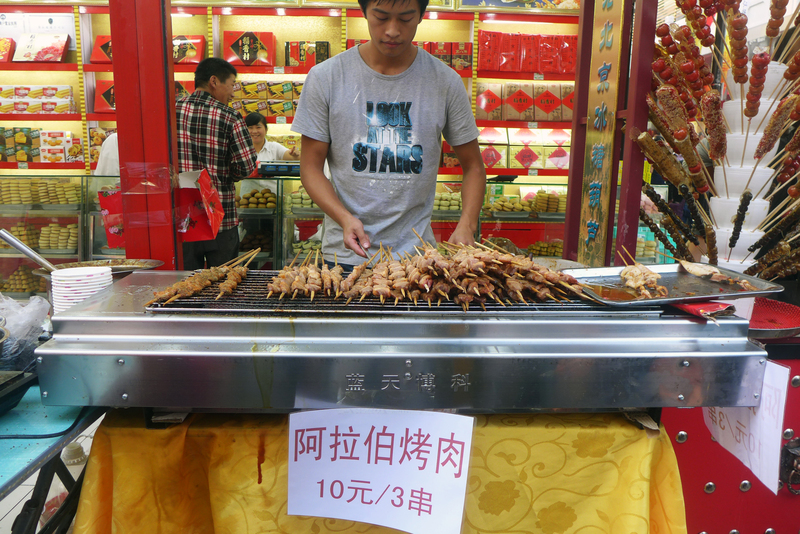 This was probably the busiest leg of our trip in China as they were celebrating the start of their National Holiday. I really think that there was some cloud seeding involved with today’s sudden downpour. 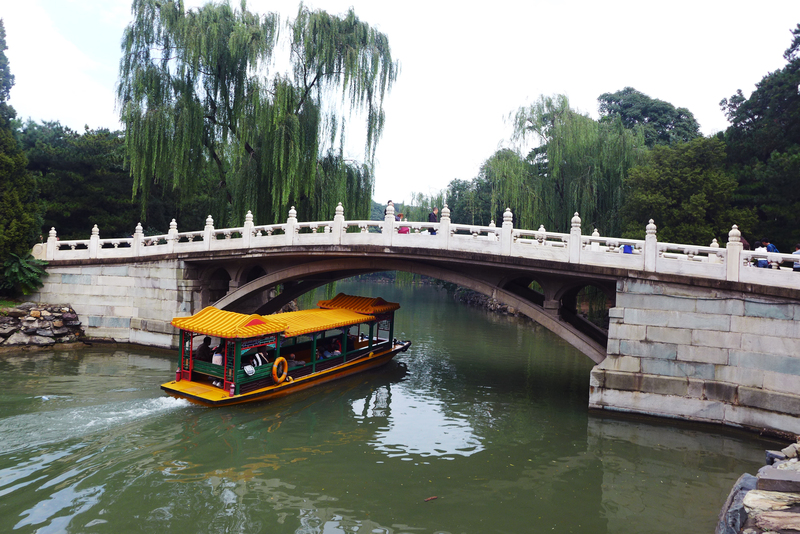 First line of business was to head to the Summer Palace. The place was packed even if the weather was such a hindrance. 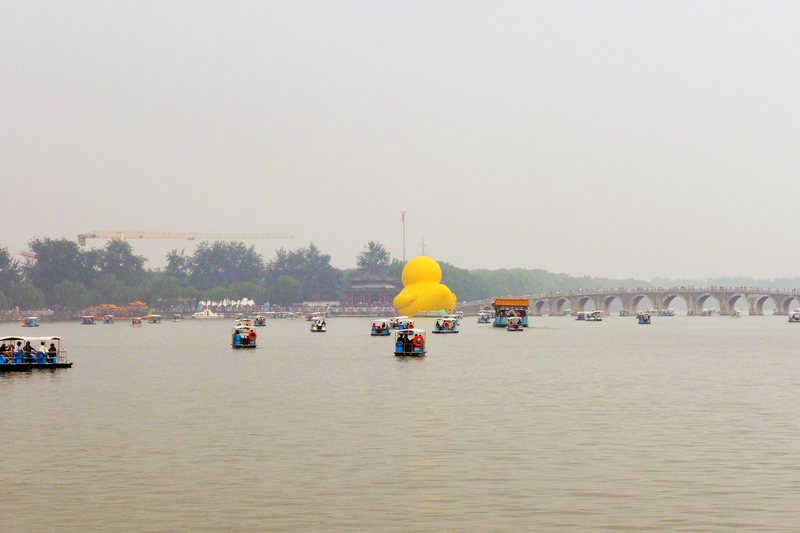 I was surprised to see the infamous giant rubber duck along the lake. Just shows how massive the grounds are. Due to the bad weather and all, we weren’t able to go around that much. As soon as we left for lunch, the weather quickly became dry and sunny. I told you there was cloud seeding involved before the start of their National Holiday. 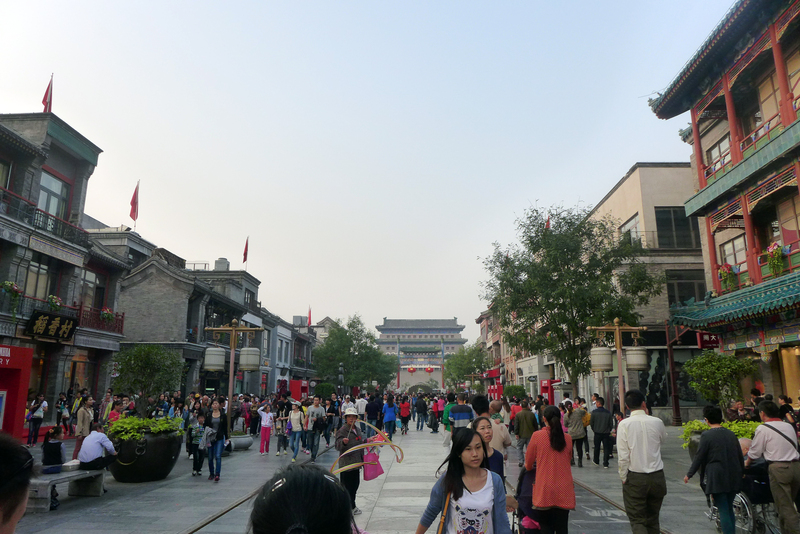 It took us an hour or so wandering around and asking how to get to Li Qun. This place was highly recommended for us to try out. 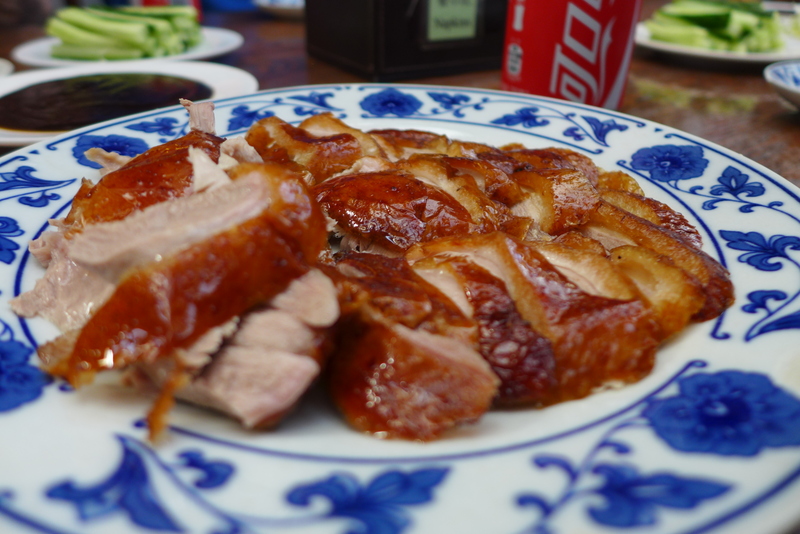 They are known for their peking duck. 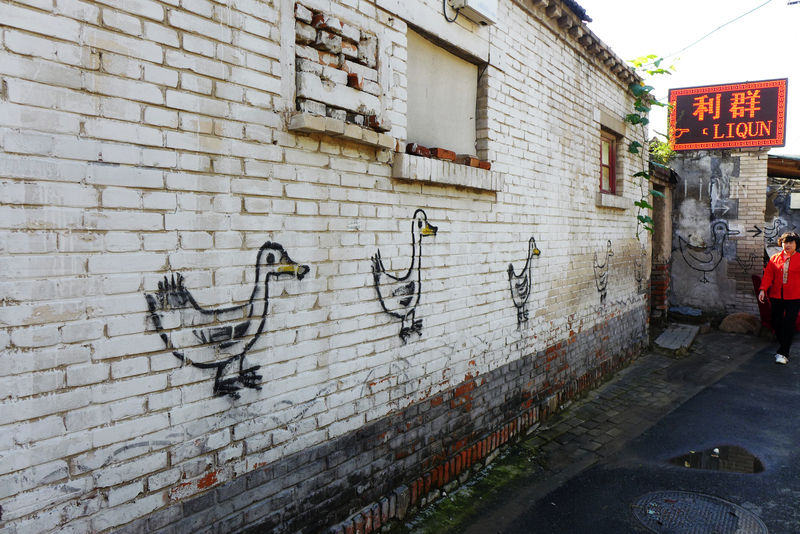 Just follow the duck symbols and you will find it. Food did not disappoint! We actually ordered two ducks to satisfy our craving! 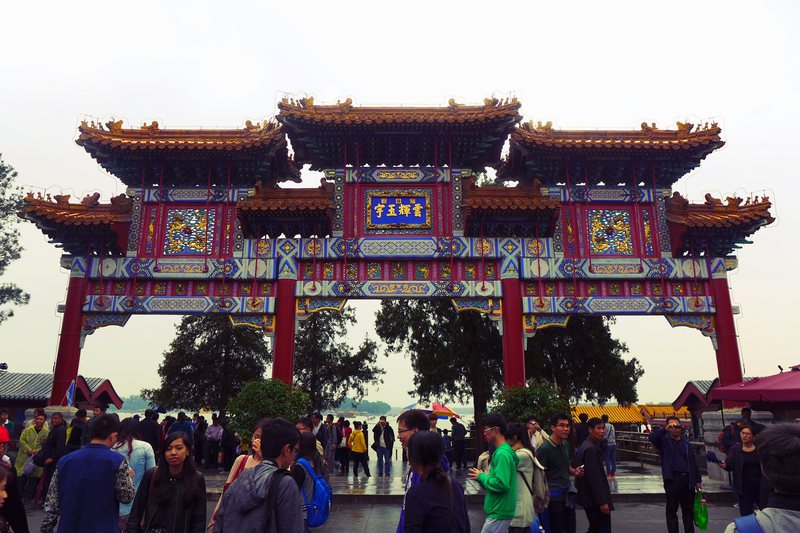 In the afternoon, we headed to Tiananmen Square. The place was packed and there were barricades everywhere. 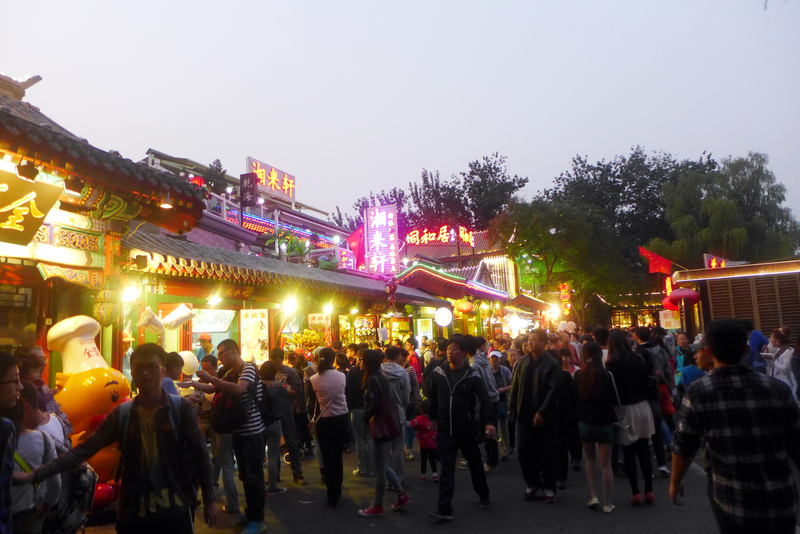 There were specific entry and exit points for the National Holiday. 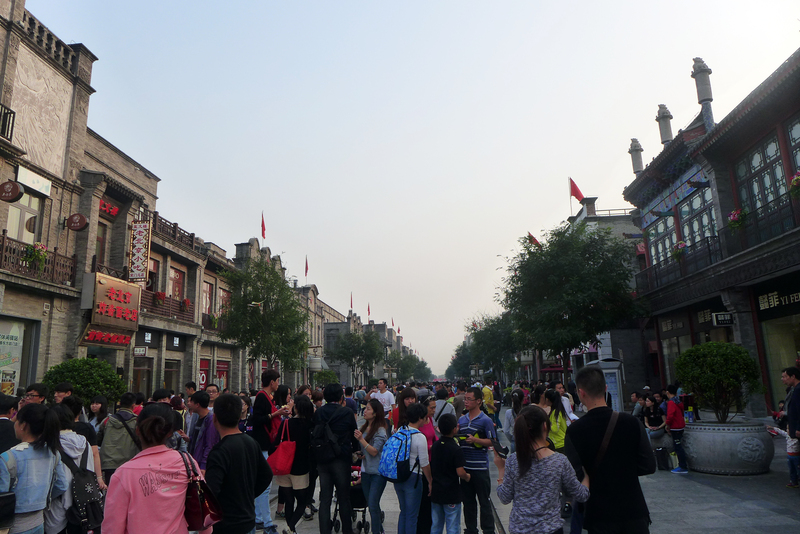 Despite the crowd, it was a great time to just lounge around the square – cool weather and all. 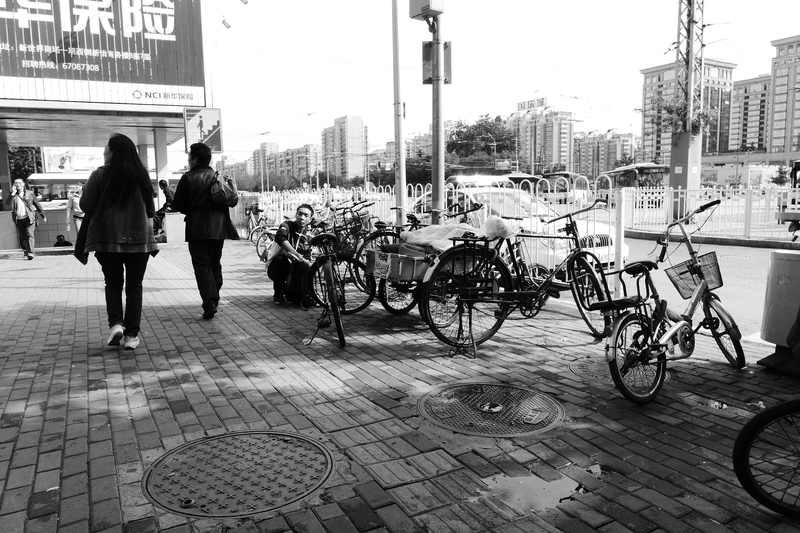 Too bad I didn’t notice that my camera lens fogged up until we headed back to our hotel. Tomorrow is another big day for us. 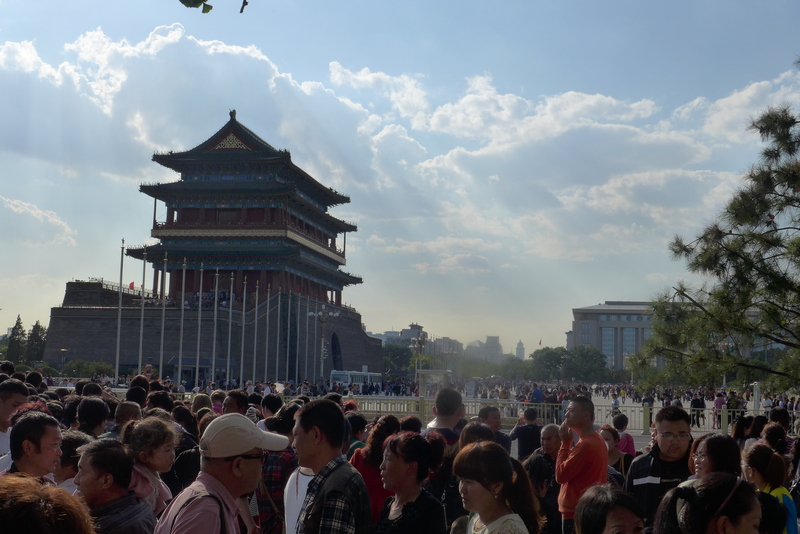 There’s just so much to see in Beijing.